I am very excited to share that we recently launched the official WooCommerce Deep Data Integration for ActiveCampaign. The WooCommerce Deep Data Integration is the 3rd official Ecommerce Deep Data Integration from ActiveCampaign. Ecommerce Deep Data Integrations are a special type of integration that bring rich 3rd party data like transactions, purchased items, revenue per order, total customer revenue, and more into ActiveCampaign. ActiveCampaign users can now quickly view information like previous purchase history, customer total revenue, customer total orders, and customer total products purchased from right inside your ActiveCampaign account. In addition to making this information easily accessible inside the contact record, you also utilize this data anytime with the segment builder. For example you can segment contacts that have purchased a specific product, or have achieved a specific lifetime value, or have purchased 9 or more products, or have made 4 or more individual orders. 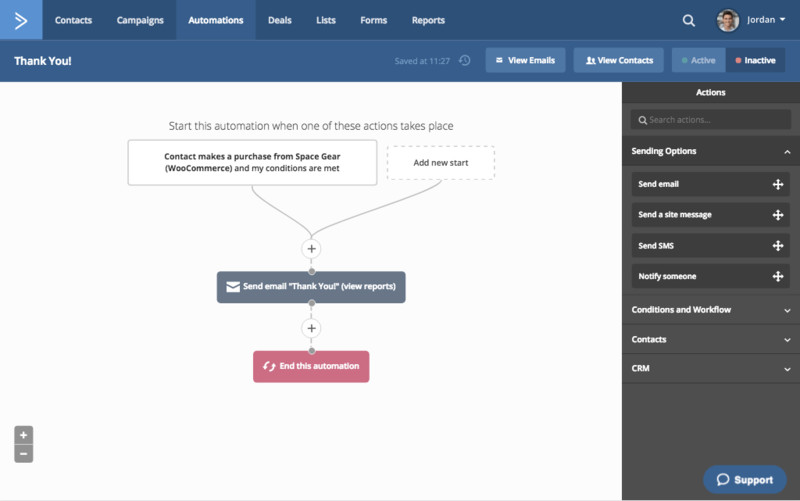 Having access to this information in the automation builder means you can use WooCommerce order data to create Goals or If statements, to increase lead scores, and create unique paths in automation workflows. At the bottom of the post I’ve put together a few examples that you can use to get started. The ActiveCampaign Ecommerce Deep Data Integration for WooCommerce only works with WooCommerce version 3.0 or greater. If you are on a previous version of WooCommerce, you will need to upgrade to the most recent version. 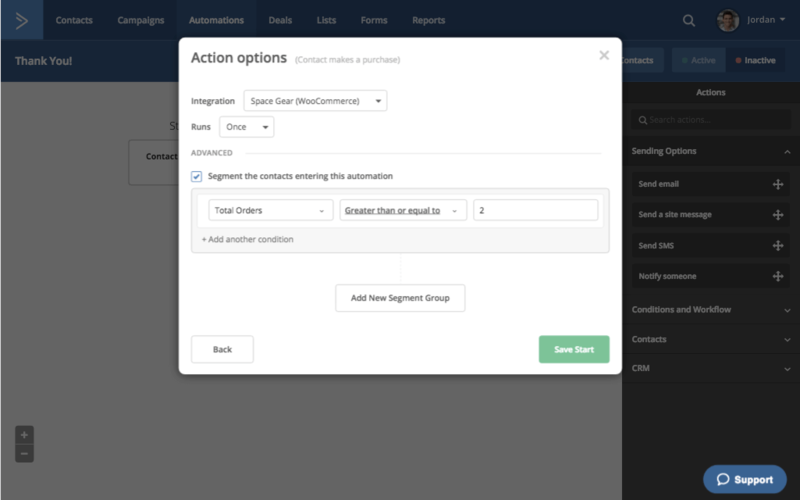 The WooCommerce Deep Data Integration for ActiveCampaign is the third official Deep Data Integration from ActiveCampaign, but it won’t be our last. We built the WooCommerce Deep Data Integration based on your feedback; what you told us you wanted to see built. We will continue to build what you want, so long as you keep telling us what that is, so feel free to leave a comment letting us know what we can build that will help make your jobs easier. But we also can’t build everything, not all at once at least. Which is why we recently announced our Deep Data API endpoints. Theres nothing more satisfying than getting a repeat sale. The first sales, with the ads and the cost per click and the campaigns and everything else. Its confusing and costly. A breath of fresh air. A happy customer that loves your product, that didn’t need anything but a little bit of follow-up conversation. The money spends the same, but the feeling you get when you realized you did something right? That’s special. 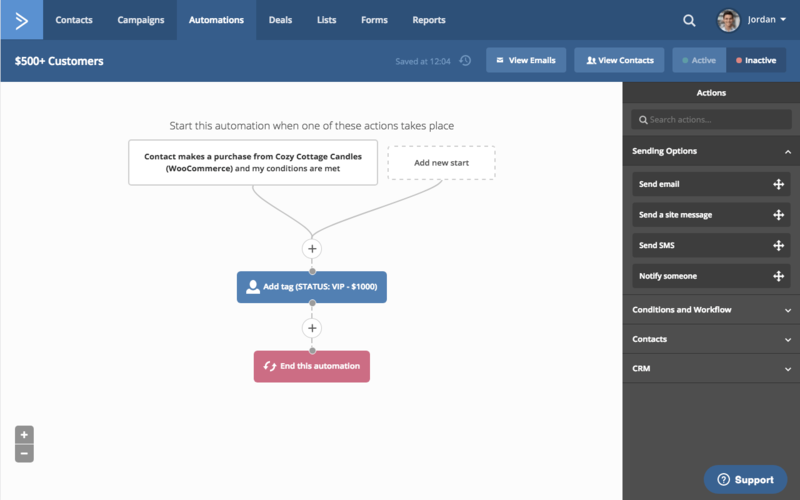 With the ActiveCampaign WooCommerce Deep Data integration, the automation is incredibly easy to setup. Continue to nurture these key contacts by encouraging them to become loyal ambassadors of your brand with special content just for them. A few 3rd party plugins like ActiveMember360 and Memberium make it trivial to provide gated content to contacts that have specific tags. 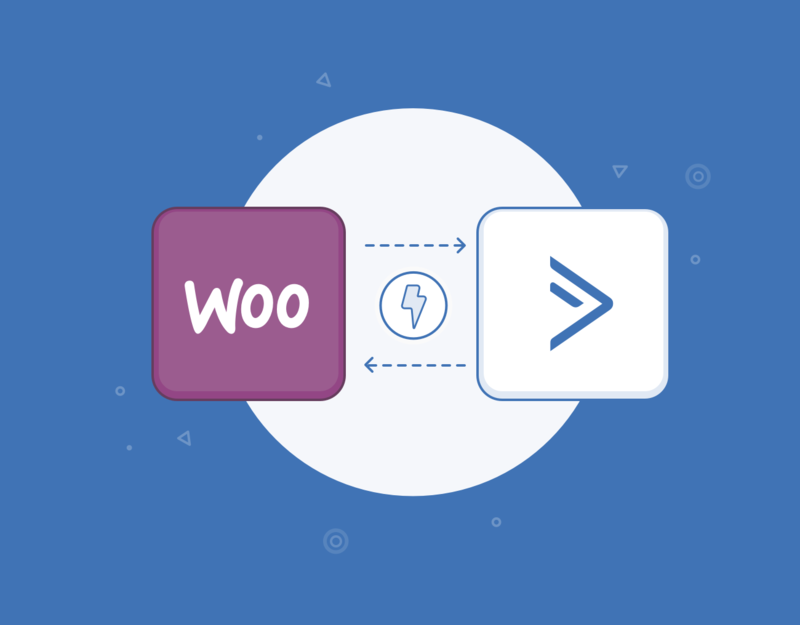 With the ActiveCampaign Deep Data integration for WooCommerce, adding tags to specific contacts that have spent a certain amount of money all time is easy because this integration automatically calculates the Lifetime Customer Value of each of your contacts based on their entire purchase history.